How is your relationship with money? I wrote this question on the welcome board in our church lobby. We always have a question of the day, hoping to get people thinking as they walk in for worship. 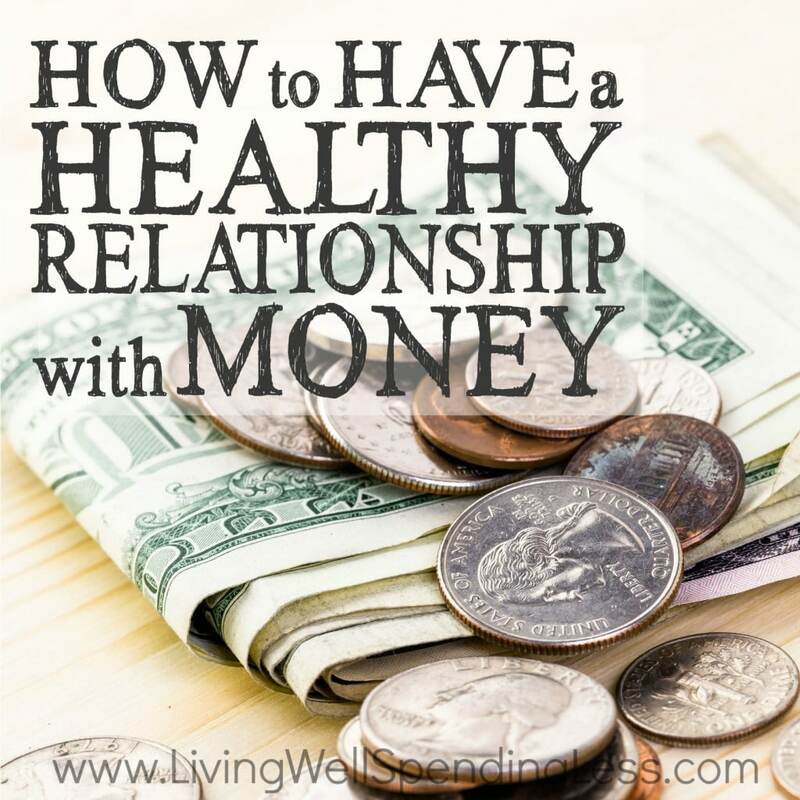 As I conversed with one person yesterday, we started joking: “My relationship with money? We don’t see each very much!” Whether you love money, hate it, there are so many of us that are very frustrated in our relationship with money. But here is the good news. It is possible to have a good, even great relationship with money right here, right now. The story reminds us to consider the shortness of life. In so doing Jesus gives us the secret to having a right relationship with money. In verse 21, he leads us to consider, are we storing up things for ourselves? Are we amassing possessions? Or are we rich toward God? We can be so filled with love toward God that we are not enamored by riches, possessions. When we are enamored with God, we’ll see how inferior possessions are to him. The band U2 has a song titled Walk On that has a wonderful message about possessions in light of the suddenness and shortness of life. What U2 is talking about is right in line with what Jesus is talking about. It is the right relationship with money. Money will be left behind. But there are riches that will not be left behind. And Jesus is saying that we should invest our lives in those riches. He says in verse 21 that we should be rich toward God. By what do I want to be remembered? If you stand before God, we should want to hear him say that we used our time talent and treasure to advance his Kingdom. Jesus does not say that being rich, amassing wealth is in and of itself wrong. What is wrong is if we amass wealth and are not also rich toward God! So the gaining of wealth is not the issue. It is the heart. John Wesley famously said “Earn all you can, Save all you can, Give all you can.” There is nothing wrong with being able to make a lot of money. If God has given you that gift, then by all means, amass wealth. It’s not wrong to amass wealth. If your heart is right, if you love God, amass wealth so you can be lavishly generous with it. Plan an investment portfolio to be rich toward God. Pay off debt, so you can be rich toward God. As people earn more, stats have shown that they are less generous. So fight that trend and give more. Practice a generous lifestyle. Give your time, talent, treasure. What do your private choices tell about you? If we could display your bank account transactions on a TV show about your life, what would we learn about you? Would we be able to tell that you are being rich toward God? If we could display your calendar on that show, what would we learn about you? Would we be able to tell that you are rich toward God? If we could have camera footage of what happens in your home, what would we learn about you? Would we be able to tell that you are rich toward God? Let us be a thankful people. People who are thankful remember that he is the giver of all good gifts. Let us not fool ourselves into thinking that we created our wealth, that it is ours. Instead, it is God’s, and he owns it. The capabilities of your mind, your body…not yours. They are gifts given to you by God. This past summer when a group from our church took a mission trip to Kenya, one of the phrases that we used was that we hit the geographical lottery. We Americans have hit the geographical lottery. We are so blessed here. We have opportunity. Maybe you’re thinking, “I’m not rich. I can barely pay the bills, and sometimes, I can’t even pay the bills.” I understand. My family is carrying some debt right now that bugs me to no end. I want to pay it off. Remember that we have opportunity here in the USA. Work hard, pay off debt, so you can have more financial space to be generous. For many of us, it is our debt that is keeping us from being generous. And perhaps, like some good friends taught us, when things are tight, that is the moment we need to show our trust in God and give. Watch him provide. Plan your life so you are rich toward God. How to have a good relationship with money – Part 1 – Love it or hate it? Or do you hate money? Have you ever said “I hate money!”? Do you hate money? Or do you really love it, but you feel you don’t have enough? Jesus talks about money a lot. I’ve often heard, and maybe you have too, that Jesus talks more about money than he does about salvation. I’m not certain that’s true. I did a bit of research and it appears he talks about the Kingdom of God most of all. But there is no doubt he talks a lot about money. What is fascinating is to compare the topics that Jesus actually spent a lot of time on, like money, and then look into what topics have dominated Christian discussions in the last 50 or so years? What have we Christians in America fixated on? Money? I can’t prove it, but I don’t think so. Instead, when you consider the topics that have been popular in politics, media and, in recent years, social media, what do you find? Most of the talk has been about abortion, homosexuality, and immigration, to name a few hot topics. These are all important subjects that that we need to talk about. They are complex and important in our time. But while Jesus talks about money repeatedly, those other hot topics of our day pretty much don’t come up in his teaching. Those topics are hot in our time, but they really weren’t issues in Jewish culture. Roman culture, yes. But not so much in Israel, and Jesus primarily ministered in Israel. It makes sense, therefore, that he wouldn’t talk about them. And yet, money was a big deal then, and still is today. It has always been a big deal. Perhaps that’s a good indication why Jesus spoke so frequently about it. Why then are we so loathe to talk about it? There can be a lot of fear in pastors’ hearts when it comes to sermons about money. We don’t want to offend people. Money is considered to be a private matter. We don’t talk about each others’ salaries. It is striking, then, that Jesus was so bold about money! That said, we do have to consider why money was so important to him. Disciples of Jesus, he was intimating, would have a good handle on how to relate to money. What should our relationship with money be like? Should we love it or hate it? This Sunday at Faith Church, we’re going to see a bit of Jesus’ heart toward money. If you want to prepare, read Luke 12:13-21.